Is there a tinnitus treatment in homeopathy? This is a question that many tinnitus sufferers have. You may be looking for a tinnitus treatment and homeopathy looks like it may help. We should first seek to understand what homeopathy is. 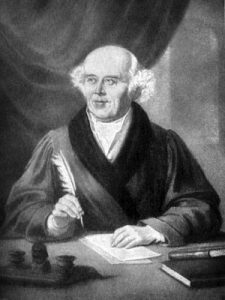 Homeopathy was created in 1796 by Samuel Hahnemann (shown above). It’s based on his principle that like cures like (similia similibus curentur). Like cures like means that a substance that causes the symptoms of disease in healthy people would cure similar symptoms in sick people. Homeopathy also claims that the more diluted the stronger a remedy becomes. This means that many of the alleged remedies are mostly water. What about the evidence? The World Health Organization warns against using homeopathy to try to treat severe diseases such as HIV and malaria. Furthermore there have been four large scale assessments of homeopathy by large health organizations. Each of them has ruled that homeopathy is ineffective and has recommended against the practice receiving any more funding. Unfortunately there’s no shortage of scammers hocking purported remedies willing to separate you from your money. The following is a list of purported tinnitus treatment in homeopathy. Calcerea Carbonica 8X, 30X; Carbo Vegetabilis 8X, 12X, 30X; Chininum Sulphuricum 12X, 30X; Cimicifuga racemosa 3X, 6X, 12X, 30X; Cinchona Officinalis 3X, 6X, 30X; Coffea cruda 3X, 12X; and 5 more ingredients. Calcerea Carbonica is impure calcium carbonate. Carbo Vegetabilis is wood charcoal. Chininum Sulphuricum is sulphate of Quinine. Cimicifuga racemosa is a type of common plant. Cinchona Officinalis is peruvian bark, and coffea cruda is green coffee. As far as I can tell none of these ingredients have been linked to any tinnitus treatment. Furthermore they are present in such vanishingly small amounts that they are unlikely to do anything. Ring Relief is sold online and in retail store such as Walgreens. It essentially has the same ingredients as the other so-called remedies. As with the others, there doesn’t exist any evidence for the ingredients, and even if they were effective they’re in too small of quantities to matter. In general none of the above products nor their ingredients has ever been shown in any clinical study to treat or cure tinnitus. There is no evidence that homeopathic products have helped anyone so no studies have been conducted. 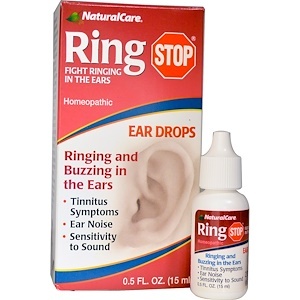 If you were considering homeopathic remedies for tinnitus, I would recommend saving your money. 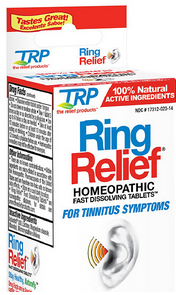 Clear tinnitus was introduced in 1998 by Clear Products Inc. which provides homeopathic remedies. It has many of the same ingredients as Ring Stop in similar dilutions. Sonavil is another homeopathic tinnitus treatment. It only has one ingredient: Calcerea Carbonica 13X. This means that Sonavil is essentially really weak watered down antacid. Calcerea Carbonica is the fancy homeopathic name for calcium carbonate which is the main ingredients in Tums. It’s also one of the ingredients in Ring Stop. If you are still interested in tinnitus treatment, then check out AudioNotch. AudioNotch uses Notched Sound Therapy which is a new tinnitus treatment pioneered by European researchers. Experiments have significant volume reductions. Unlike homeopathy, there is a large amount of scientific evidence to show that Notched Sound Therapy is effective.